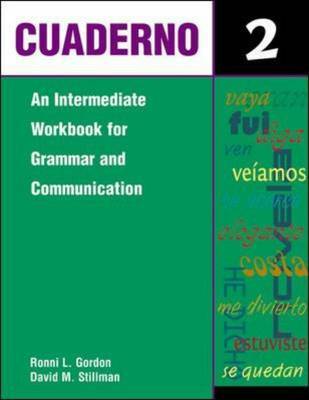 This grammar and communication worktext provides intermediate Spanish students with the tools necessary to build language skills in the early stages of their study. This workbook contains 19 chapters. The grammar is concise and clear. This text does not have to be taught sequentially. Teachers using it as a supplement to a basal text can select individual chapters or sections to support the grammar presented in the basal text. A wealth of activities, ranging from very guided to open-ended, afford students plenty of opportunity to practice the structures typically introduced in intermediate courses. Exercises are put in context as students are invited to use their knowledge of Spanish in engaging, meaningful situations. The student-friendly format allows students ample space to write answers in an open and easy-to-manage design. Flexible organization allows teachers to select the chapters they need to reinforce the grammar points they are presenting in class. This title is presented in softbound, 8-1/2" x 11", and contains 224 pages.